Buddying Heather Shields . . . I've been kindly asked by the Crafts Council to act as a 'buddy' again this year and have been paired up with Glasgow based weaver Heather Shields. 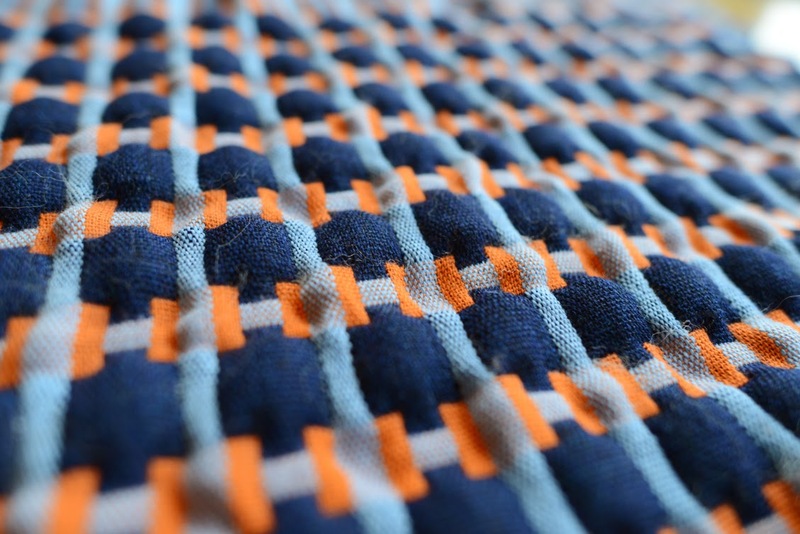 I'd met Heather briefly last year when she attended the 'LOOM' seminar I curated for Stroud International Textiles, so it has been lovely getting to know Heather and her work better. 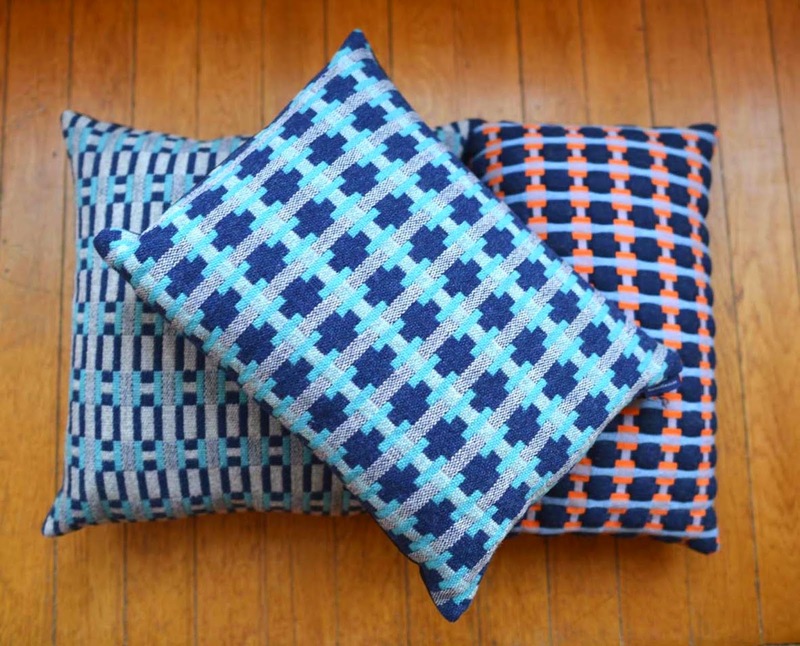 Combining playful colour palettes and bold patterns, Heather creates vibrate contemporary fabrics and homewares. Heather's strong affinity with weaving began at art school where she immediately became fascinated with the physical practice and endless possibilities for experimentation and innovation.The meticulous nature of weaving challenges and satisfies her drive for technical perfection and quality. 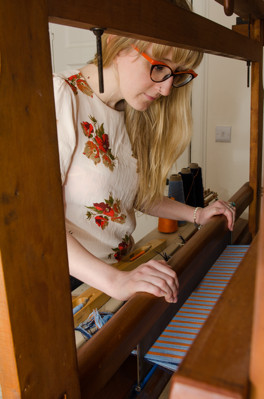 She currently works on a George Wood peg loom but is just putting through an order for a new loom which will help her to take her business to the next level. Heather started on the Hothouse program just over a month ago and has already been busily traveling around the UK to attend events. She is part of the fifth run of the program which provides selected emerging makers with targeted creative and business support. I caught up with Heather a couple of weeks ago in Glasgow where she showed me around the city and Glasgow School of Art (where she also works as the weave technician). I had such a lovely day 'geeking' out with Heather in a constant chatter about all things loom, weaving and beyond and look forward to spending more time working with her over the coming months. Her fabrics are truly stunning and she is definitely a talent to keep your eye on. You can follow Heather's development on twitter, facebook and pinterest.